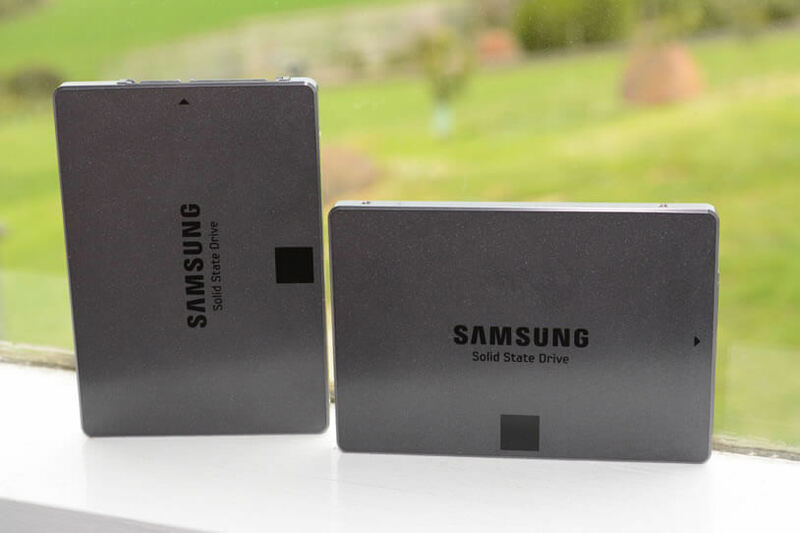 Earlier this month Samsung released version 4.9.7 of their SSD Magician software. Even though it’s not mentioned on their website, this firmware update (DXT0AB0Q) is also available for the Samsung SSD 840, predecessor of the more popular SSD 840 EVO. You may recall a year ago we published a piece about SSD performance degradation on first generation TLC solid state drives. Consider this a follow up to that article even though by now SSD 840 series drives are nearly 4 years old. Samsung’s latest firmware adds support for “Advanced Performance Optimization” which may help with performance degradation. This mode was added for the 840 EVO in Magician 4.6 last year on firmware EXT0DB6Q, although on this drive the update wasn’t entirely necessary because it correctly sensed the voltage drift of the NAND and adjusted for it on the fly. So I set out to test if the new firmware works the same way for the regular SSD 840. At first glance it seemed like there was a performance increase from each full sequential drive read with HD Tune. But delving deeper the recorded performance improvement turned out to just be heat related as I eventually discovered (see below). I used a big 120mm fan blowing directly on the SSD but even then an increase of less than 1°C caused a measureable performance improvement. After some extensive benchmarking I came to the conclusion that there was not any measurable improvement with the new firmware if the temperature was kept stable (which was surprisingly difficult to do!). After that test I let the drive be idle, but the performance did not improve measurably. The partial conclusion is that if you are a Windows user you can finally use Magician to restore the performance on your vanilla SSD 840, but if you use other operating system or have your drive in a RAID array, Magician won’t be able to access them and thus you’re still out of luck. In other words, performance is not improved without user intervention, that is, before a third party app like Diskfresh is used to "fix" the drive every few months. Now Samsung's own Magician software can be used, but it still needs to be run manually when the drive is getting slow. It’s worth mentioning that Samsung has also released a firmware update for the 840 EVO mSATA (EXT43B6Q) which arrived some six months after the second firmware update for the regular 2.5” drive. Do note the performance degradation issue doesn’t appear to be limited to Samsung’s planar TLC NAND, with other drives released in the past year potentially suffering a similar fate including the Crucial BX200 and A-DATA Premier SP550, according to user tests published on Swedish forum Sweclockers and Anandtech’s forums. If you are in demand for consistent performance it might be best to stay away from SSDs based on planar TLC NAND. Even with Samsung’s elegant fix for the 840 EVO released last year, the fix increases power consumption and is not guaranteed to optimize the drive in all scenarios.